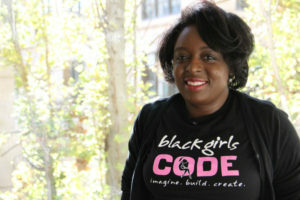 Kimberly Bryant, 47, is the founder of Black Girls Code. Black Girls Code (BGC) founder Kimberly Bryant knows all money ain’t good money. 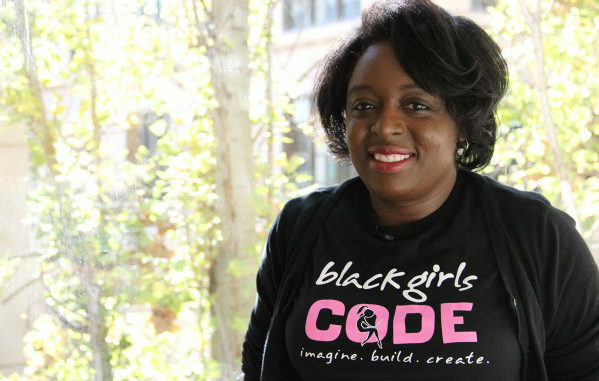 Last week, Uber offered the nonprofit geared towards increasing the number of black women in the tech field a $125,000 grant as part of a $3 million effort to remedy the sexist reputation they’ve garnered in the industry. But Bryant refused the offer. Her decision comes after the Silicon Valley company’s trajectory of sexism and political problematism. In February, former Uber employee Susan Fowler went public with her experiences with sexual harassment at the company. Fowler alleged that her complaints to HR were swept under the rug and even led to taunting from coworkers. The sexual harrassment allegations further cemented the ride-sharing company’s reputation as a greedy and disreputable corporation. Earlier in February, Uber CEO Travis Kalanick quit Donald Trump’s business council only after public backlash and boycotts ensued over the company’s support of the prejudiced politician. Uber also refused to take part in the taxi boycott during Trump’s widely opposed Muslim ban. Uber used the opportunity to gain more revenue by ridding of surge pricing that day. Bryant also took issue with Uber’s $1.2 million donation to Girls Who Code. She feels Uber’s claims of commitment to diversity isn’t reflected in where they choose to put their money.